HEY WOW, I'm doing THREE CONVENTIONS IN A ROW in May! The first one is this weekend (May 4-6) in Seattle, a horror convention called Crypticon that you should all go to so I don't have to lug a whole bunch of books up to Canada for my next convention, TCAF in Toronto from May 12-13. And you should also go to that one because I'll be premiering some very cute dinosaur pins you won't wanna miss! And the weekend after that I'll be over in Vancouver for VanCAF from May 19-20 to wrap up this convention marathon. Come and see me pleeease! 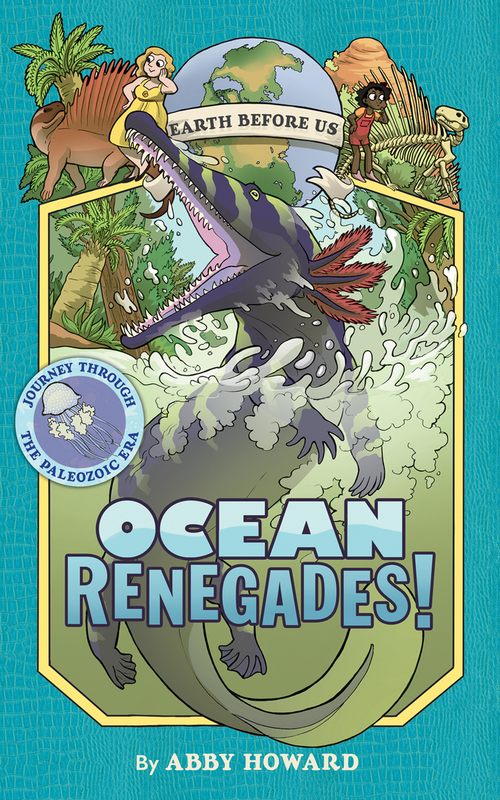 Also, in case you ain't heard, I'm a cool big shot who has another graphic novel coming out this year, the next book in the Earth Before Us series, Ocean Renegades! It's all about the creatures that lived in the Paleozoic, the time before the dinosaurs, and how they came to conquer the land. It's got fish, it's got fish but with legs, it's got fish that aren't even fish. What more could you want in a book?